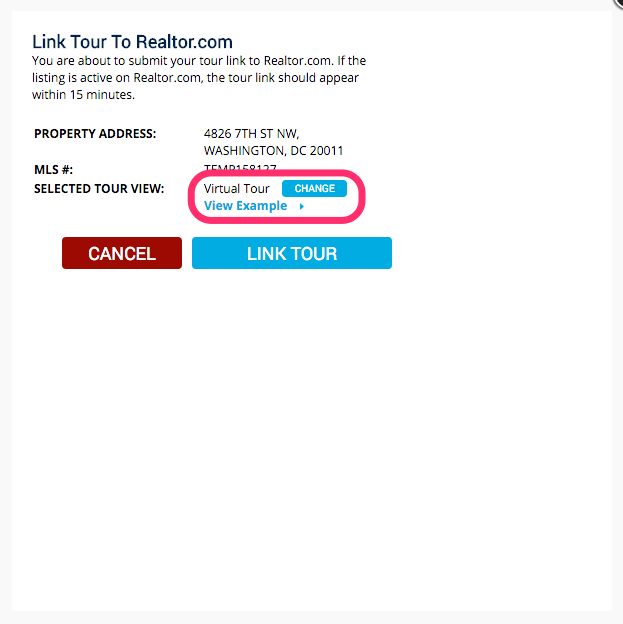 You can easily link the virtual tour to Realtor.com and see when the tour has been linked with a notification icon as well as a time stamp of when it completed. 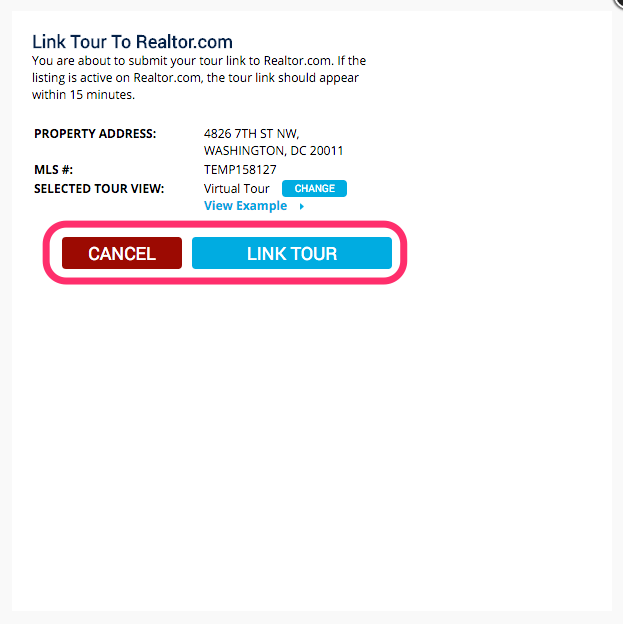 You can only link your tour to Realtor.com if you are a showcase member with Realtor.com or if you paid for one time linking of $35 through HomeVisit. To link your tour to MLS click on LINK TO REALTOR.COM Fig 2.1. A new window will pop up. From here you have the option to select your default tour view Fig 3.1. Next you will need to select LINK TOUR or CANCEL to complete your selection. Once your tour has linked the link icon will change from broken and gray to linked and green. You will also have a date and time stamp of the most current link Fig 4.1.